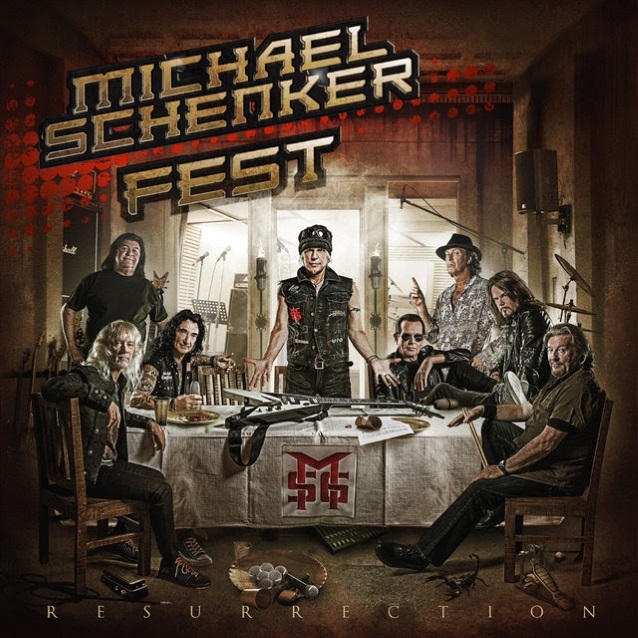 The third trailer for “Resurrection”, the new album from legendary German guitarist Michael Schenker‘s MICHAEL SCHENKER FEST project, is available below. Due on March 2 via Nuclear Blast, the disc, which was produced by Michael Voss-Schön, was recorded in four different locations over a five-month period and features guest appearances by METALLICA‘s Kirk Hammett, Wayne Findlay and Michael Voss-Schön along with contributions from three original MSG (MICHAEL SCHENKER GROUP) singers — Gary Barden, Graham Bonnet and Robin McAuley — plus Doogie White, who plays with Michael in MICHAEL SCHENKER’S TEMPLE OF ROCK. Also appearing on the album are musicians Steve Mann (guitars, keyboards), Ted McKenna (drums) and Chris Glen (bass). Hammett and Schenker first traded licks during the taping of VH1 Classic‘s “That Metal Show” in April 2015 at Metropolis Studios in New York City. Less than a month later, Kirk joined Michael on stage at the RockBar in San Jose, California to perform a couple of songs: UFO‘s “Natural Thing” and SCORPIONS‘ “Blackout”.